Ken enjoys spending his free time with his family and out on the golf course. Exercise is also a priority in Ken’s life, and quality time on the treadmill has become part of his morning routine. At work, Ken’s time is divided between taking care of patients in the neurology clinic, teaching students, residents, and fellows, as well as conducting research. His research focuses on learning how the brain works, what is going on when it doesn’t work, and how to fix it when it’s not working well. Ever since he was young, Ken was fascinated by taking things apart to see how they worked. When his mother was going to throw away an old, broken clock, he was able to disassemble and fix it. In medical school, there were many paths Ken could have taken, but he decided to work on understanding the intricate complexities of the human brain. His attention was caught by one patient in particular who had neglect syndrome and was completely unaware of half of his environment and half of his own body. Many of Ken’s biggest career challenges occurred in his early school years. He was held back in third grade because he struggled with reading out loud. As a high school student, Ken wanted to apply to academic colleges. Unfortunately, he was pressured to attend vocational school because people thought he couldn’t read well, and he struggled in his language classes. It wasn’t until many years later that Ken realized that he had been struggling with a reading disability called phonological dyslexia. Ken describes how being able to work with patients as well as conduct research has been really rewarding. He has observed interesting phenomena in patients and brought these insights back to the laboratory to more closely examine the brain mechanisms involved. As a result, Ken has been involved in describing multiple entirely new neurological diseases that had never been reported before. One of Ken’s favorite travel experiences was a visit to a patient who had a very unusual language disturbance that had never been described. This patient was not able to comprehend what objects were but could name them. Ken and his colleagues wrote a paper about this patient and submitted it to the journal Brain. The reviewers asked for one additional experiment to confirm their findings, and administering these tests to the patient was one of Ken’s most exciting and memorable moments. The findings were fascinating, and they were successful in publishing their paper. When Ken attends conferences, he enjoys meeting with his colleagues in the evenings to talk science over dinner. During one conference in La Jolla, CA, Ken was able to squeeze in a tee time on a beautiful golf course immediately following his invited lecture. This meant he had to postpone the question and answer session until the next day, but he had a wonderful time and another scientist from the conference joined him on the course. Follow your heart and follow your dreams. In the end, it is important to be able to look back and know that you are leaving the world a little better than it was before. Ken’s research has been supported by the VAMC and/or NIH for more than 40 years. He is the author, co-author, editor, or co-editor of 14 books, more than 100 chapters and more than 600 peer reviewed publications. He and his coworkers have described several new diseases/disorders and their treatment (e.g., orthostatic tremor), and helped to better understand many neurobehavioral disorders (e.g., emotional communication, sensory-motor neglect, anosognosia, and apraxia). As Director of the Behavioral Neurology-Dementia Post-Doctoral program, Ken has helped to trained more than 70 post-doctoral fellows, the majority of who hold academic positions and several of whom are now leaders in academic neurology, neuropsychology and cognitive neuroscience. 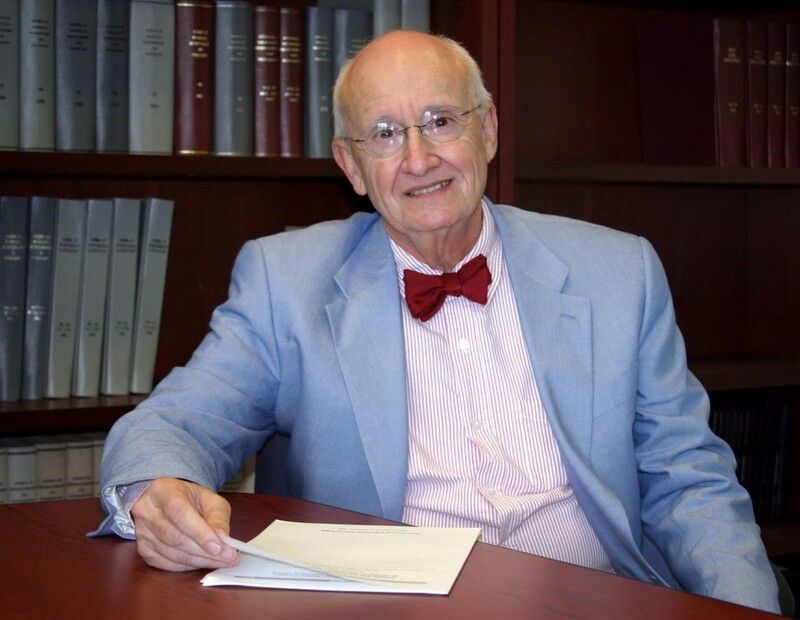 Ken has received many honors including membership in Alpha Omega Alpha, Sigma Xi, and the Dana Foundation, as well as the Clinical Research and the Lifetime Achievement Awards from the University of Florida. He is a past President and Distinguished Career Award recipient from both the International Neuropsychology Society (INS) and the Society for Cognitive and Behavioral Neurology. Ken is an Honorary Member of the American Neurological Association, a Fellow in the American Academy of Neurology (AAN), and the Wartenberg Keynote Lecturer at the AAN. In 1965 he married Patricia Phillips and they have three children (David, Nicole and Eden) and three grandchildren (Brooke, Ashton, Ethan).